Mercury is a natural part of the Earth's environment, and its presence is increased by human activity. Mercury is in the air, water, and soil of the planet. As such, fish absorb mercury in the water, and when you eat it, you absorb it, too. 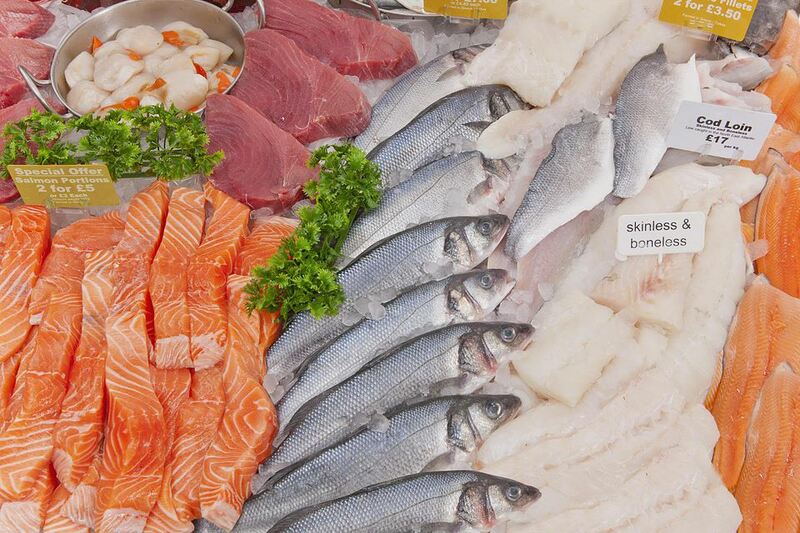 Eating seafood is promoted as part of a healthy diet. Seafood is low in saturated fat, and it contains an abundance of omega-3 fatty acids, high-quality protein, and many nutrients. These are all positive benefits, and a moderate amount of seafood is a healthy addition to most diets. But nearly all fish contain at least a trace amount of mercury, and the concern over this issue hovers over the otherwise positive benefits of eating seafood. The risk of mercury poisoning is real if you eat a lot of fish, especially fish that has a high concentration of mercury. Women who may become pregnant, are pregnant or nursing, babies, and young children are especially at risk because mercury is toxic to a child's developing brain and nervous system, according to the Food and Drug Administration and the Environmental Protection Agency. These demographics especially should avoid the fish on the top level of this list with the highest amounts of mercury and limit their consumption of fish on the other levels, the FDA and the EPA advise. It's wise for any woman of child-bearing age, from age 16 to 49, to also avoid eating fish that has the highest mercury levels, the FDA says. The FDA advises that women at high risk can eat two to three servings a week of seafood with low mercury levels and one serving per week of fish with mid-range levels. Children over age 2 can have one or two servings of seafood a week. Moderation and mindfulness are key. Everyone else should try not to eat more than one or two meals per month of fish and seafood with the highest levels of mercury; that means go easy on the bigeye tuna. Even though eating fish that's higher in mercury in moderation will likely not cause any harm, the best practice for everyone is to focus on eating fish that's lower in mercury such as salmon, haddock, sardines, and trout. These levels are designated by the FDA.